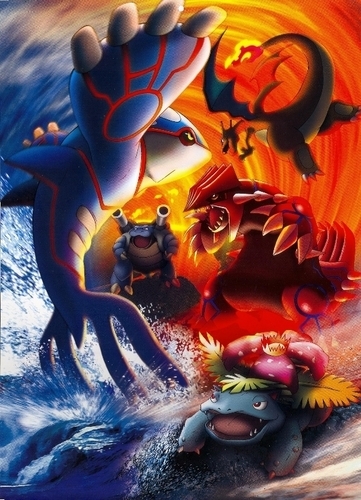 Kyogre,Groudon,Charizard,Blastoise & Venusaur. . HD Wallpaper and background images in the Legendäre Pokémon club tagged: legendary pokemon kyogre groudon charizard ivysaur blastoise.